Tyrees Allen’s participation was funded in part by the Horizons Grants Program of the Salina Arts and Humanities Foundation. Funding is provided by Horizons, a private donor group. One of the truly great American dramas. Recommended for audiences who think. 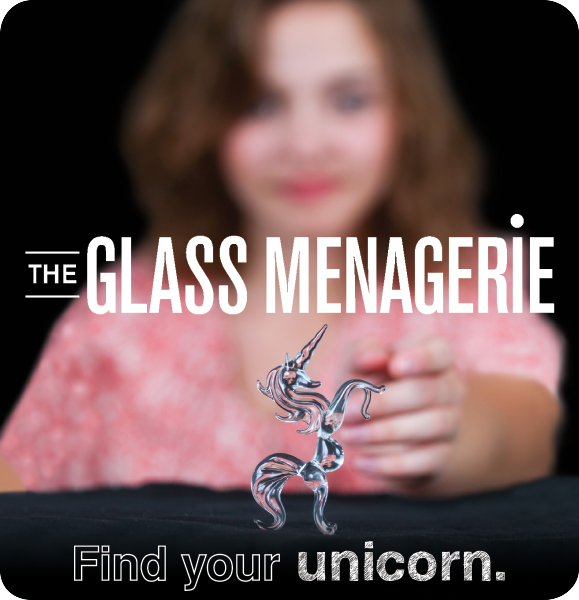 No play in the modern theatre has so captured the imagination and heart of the American public as Tennessee Williams’ The Glass Menagerie. It was Williams’s first popular success and launched his brilliant, if somewhat controversial, career. The story revolves around a young man begrudgingly supporting the family his father has abandoned. It also features a painfully shy sister, whose preoccupation with a collection of glass animals draws her away from reality. Set against the backdrop of the Depression, the family struggles together with the past, the future, and one another.